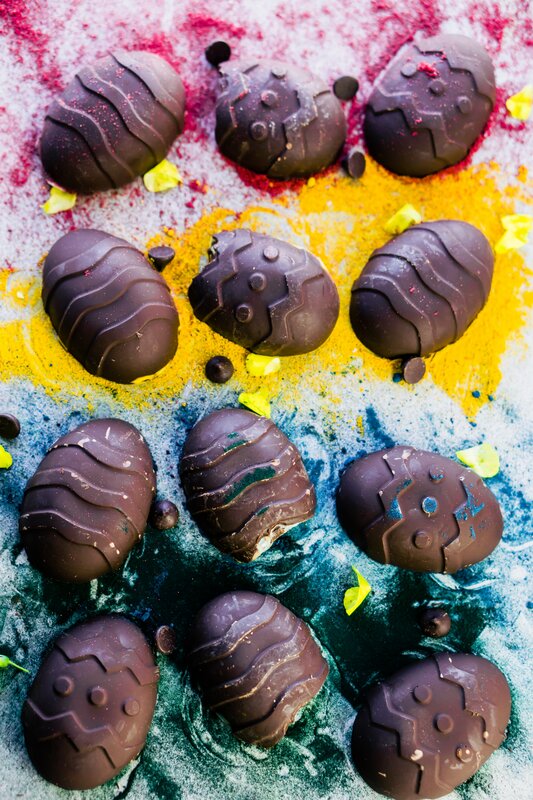 Coconut butter filled dark chocolate Easter eggs (vegan, keto, & paleo) are the easiest and most fun recipe to make! you can make this recipe for yourself or for friends and your kiddos. I LOVE making treats for any holidays. There is just something about making treats for my loved ones that I can’t get enough of. What I really love about this recipe is that all the fun beautiful colors are all natural, meaning no artificial coloring. They are completely colored with superfoods, meaning they are beautiful colors AND good for you! Pascha Chocolate has been my go-to chocolate for the last month or two now. I first found it at our local whole foods. What made me stop was that it is 100% dark chocolate and completely unsweetened. Therefore is it SO easy for me to just add my own raw monk fruit or stevia sweetener. I love to make my own chocolate but there is something so nice about grabbing a bag of healthy, and fair-traded chocolate to melt and be on your way without worrying about what kind of ingredients are being used. I also had the pleasure of meeting Pascha Chocolate at Expo West this year. Can I just tell you something? They are THE NICEST and sweet-hearted people I’ve ever met. Aside from their amazing chocolate. They are located outside of Canada so maybe it’s a midwest thing that we just happened to click so well? 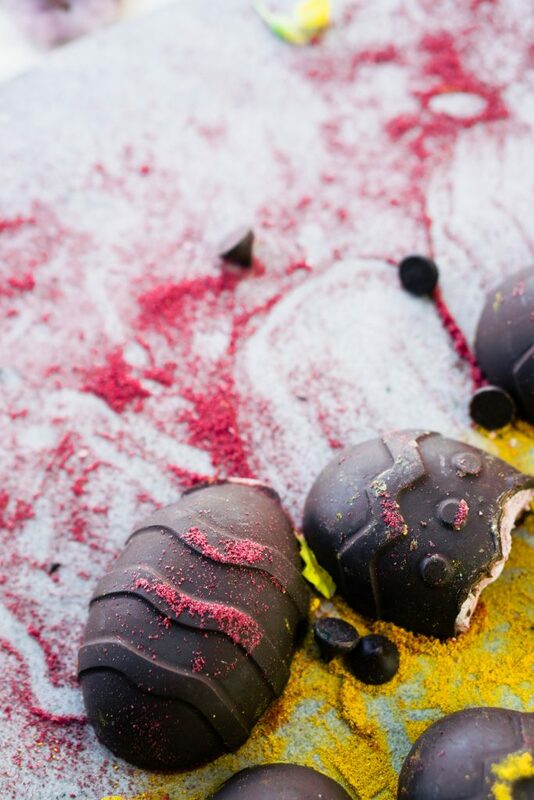 The best news is that we are starting to partner together so keep your eyes out for more yummy chocolate recipes. Whether you are sugar-free or not they have options for everyone, especially those with allergens & food intolerances. You can use any sweetener that you prefer, or even use Pascha Chocolate that is already sweetened. I would recommend stevia or raw monk fruit if you are on a body ecology or sugar-free journey. 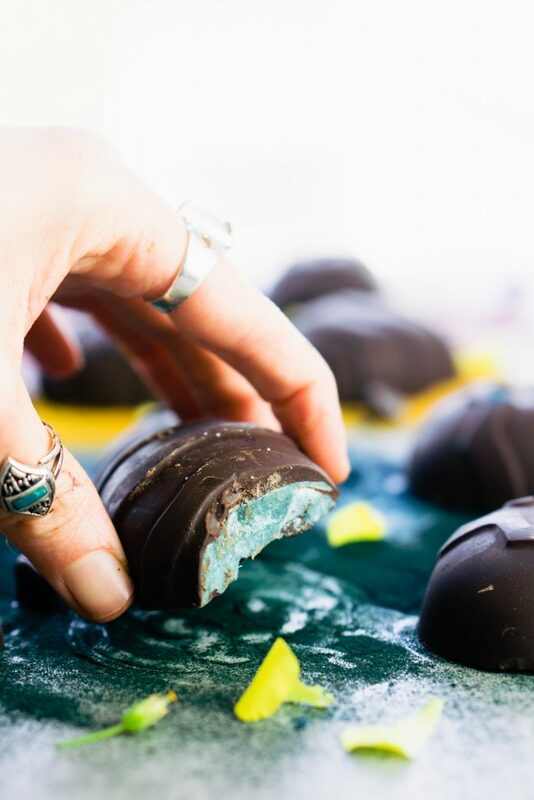 You don’t have to use any superfood colors, these would be amazing with just coconut-butter and dark chocolate. I used these silicone egg molds from Amazon. 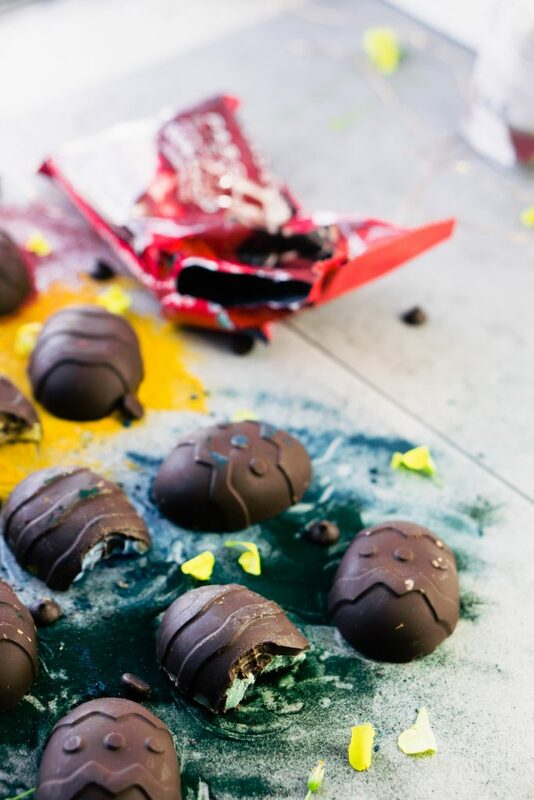 put the melted chocolate into your molds. use a spoon to cover all of the sides. 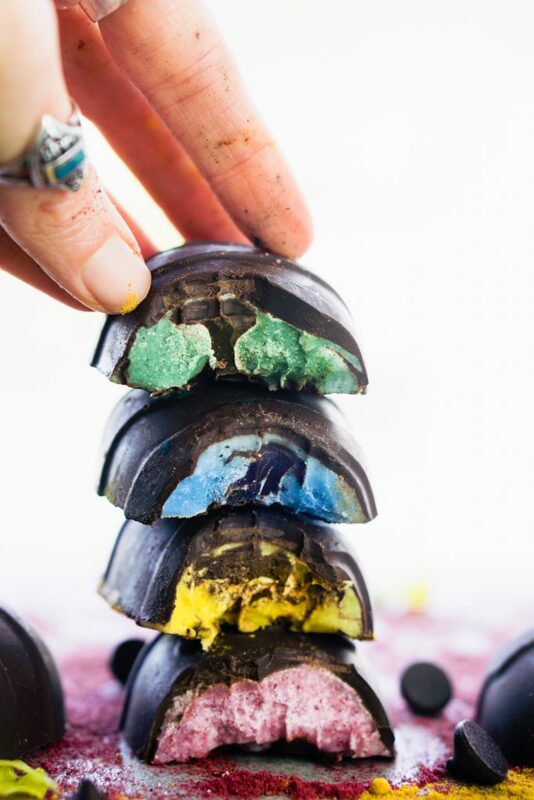 melt coconut butter and separate into 4 jars add your coloring and pour the colored coconut butter on top of chocolate. once filled pour more chocolate on the top.